Sod Vs. Seed — Which Is Best For Your Commercial Property? Sod vs. seed? 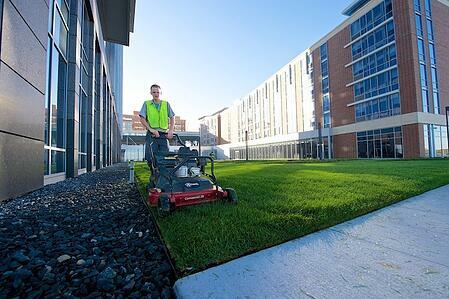 If new turf is in the plan for your Northeast Ohio commercial property this year, you have options for this “groundwork” and you’re probably wondering what’s the best choice: Do you start a lawn from scratch by planting turf seed or lay down sod and get instant, green gratification? There are pros and cons to both methods of installing new turf. The three main factors that will play into your decision to choose turf seed or sod for your commercial property are budget, time and maintenance. Also, location is a consideration, and you may choose to sod a portion of the property that is in a higher-traffic zone and seed large expanses that will not bear foot traffic. There’s no one right answer to the sod or seed question, and both have advantages and drawbacks. Seed is the most cost-effective way to plant new turf on your commercial property, though you must allow time for grass seed to establish—8 to 10 days for the first green sprigs to pop and up to 6 weeks for newly established lawn. Irrigation is essential for grass seed establishment so proper watering is necessary. For many commercial properties, this is not a problem because an irrigation system is already in place. Timing is critical when putting down new grass seed, and we find that the best times for this are late summer and early fall if you plan to reseed large areas of your property. This window of time is ideal for a couple of reasons. For one, fewer weeds are germinating in late summer and early fall, which means less competition for your new grass seed as it establishes. Also, lower temperatures are favorable. If you choose to seed in the spring, there’s a narrow window of time between when the ground is frost-free and ready for planting and before summer temperatures heat up and create a more stressful growing environment (with more weeds). Deeper roots establish when you plant turf seed, so seeded lawns are sustainable and stand the test of time. Stay off the grass. That’s the tough part about seeding commercial properties, especially if you want to grow new turf in a high-traffic area. Take measures to keep pedestrians away from the seeded space, otherwise compaction will squelch your results. Sod is the turf solution for instant gratification. Sod generally comes in rolls like carpet after being raised at a nursery or turf grower, and a professional landscaper then lays down the sod onto prepared soil. Sod also comes in square patches, and it can be cut to size and patch-worked into an existing lawn to fix damaged turf areas or fill holes, freshen up heavy traffic areas or fill in ruts. There’s no waiting with sod—after installation, the grass is “in.” That, of course, does not mean there is no maintenance involved. Sod must be properly watered so roots establish in the soil, and appropriate turf health measures will be necessary to prevent weeds and disease from forming in the newly installed lawn. 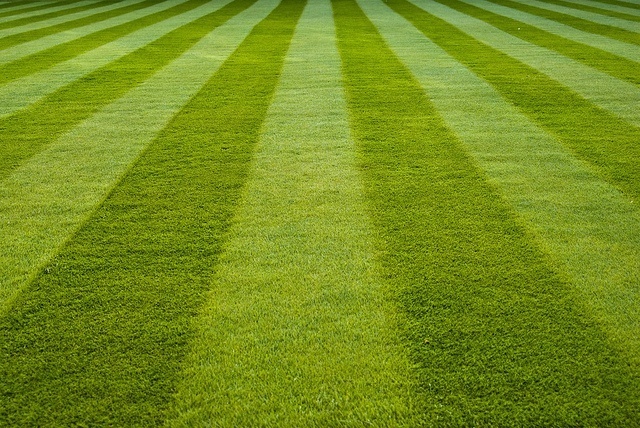 The size of your lawn does factor into whether you’ll choose sod or seed. Sod costs more than seed, so it is ideal for smaller areas—you wouldn’t sod a field-sized expanse of land. Beyond the cost of materials (mature grass), sodding a lawn is labor intensive, which drives up the expense. Slopes are ideal for sodding because you immediately prevent erosion. If you seed, the exposed soil may suffer from water runoff, and you will likely lose seed, as well. Maintenance of newly laid sod is less rigorous than when caring for freshly seeded ground. 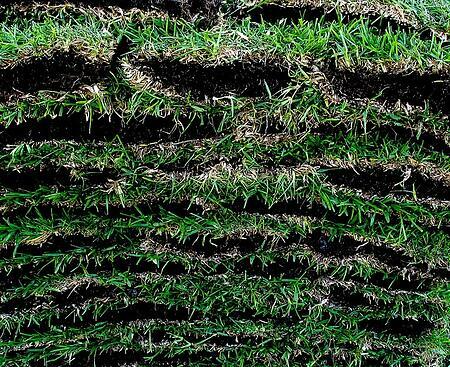 Because the turf is already established, the main concern is ensuring roots take to the soil. You are less likely to battle weeds with sod because the turf is already mature. Maintaining a healthy, vibrant lawn is important for commercial property owners who understand the value of their landscape investment. Seed and sod both have advantages. Simply put, there’s a time and place for sod or seed. 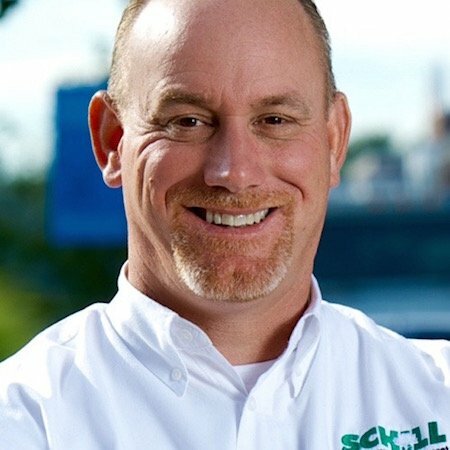 Let’s talk more about the best option for your Northeast Ohio property. Call us any time at (440) 327-3030, or fill out this simple contact form and we’ll get in touch with you.